Another couple of Tom Baker stories, this time part of UK Gold’s Doctor Who 30th Anniversary weekend. Winner of the Favourite Doctor poll was, unsurprisingly, Tom Baker, so to celebrate, here’s Warrior’s Gate. Er…? Actually, with a script by genre master Stephen Gallagher, Warrior’s Gate has a lot going for it, and it feels like the production team are trying to do something that’s just a bit beyond their budgetary and physical means. 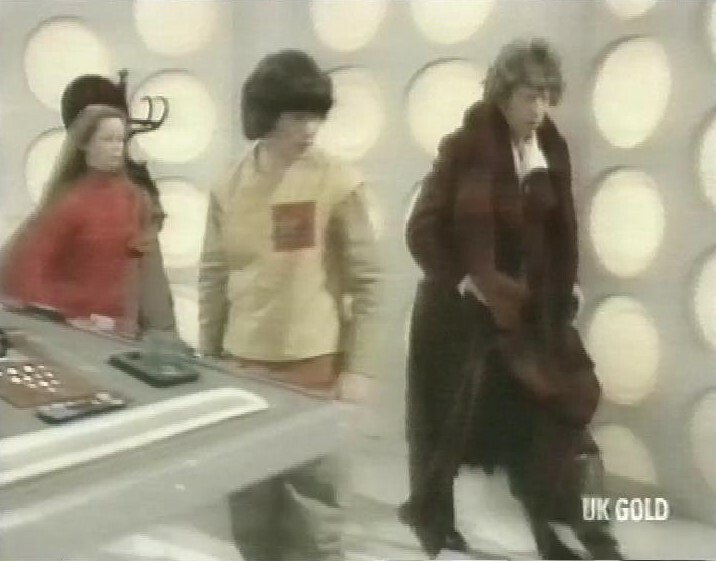 The Tardis crew are The Doctor, Romana 2, and Adric, who has just joined. 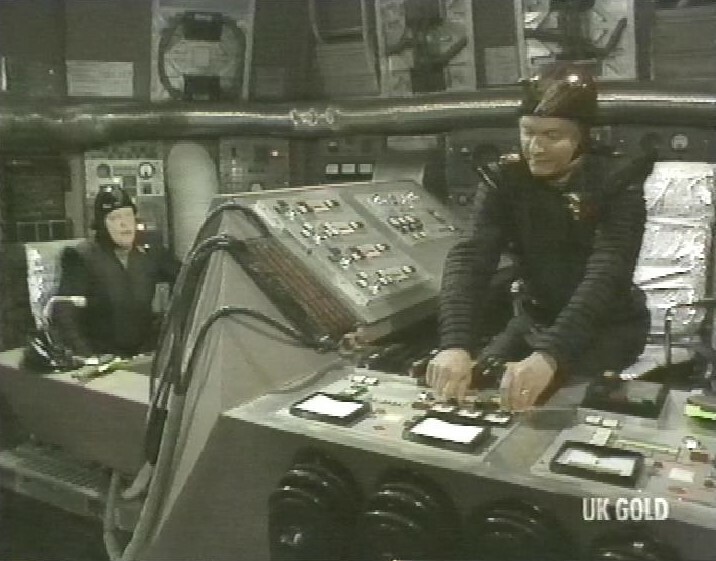 There’s also some kind of ship, crewed by the usual grumpy crew, all moaning about bonuses. I totally blame this on Alien, which made the stunning discovery that you can tell stories about blue-collar people in Science Fiction, so now suddenly everyone’s discovered bonuses, and talks about ‘the company’. I’ve got no objections, but the roots are showing a bit obviously. One of the crew is different to the others, and has some kind of role in the ship’s navigation. Shades of Dune, possibly? Biroc is his name, although he’s not treated well by the human crew, typically. 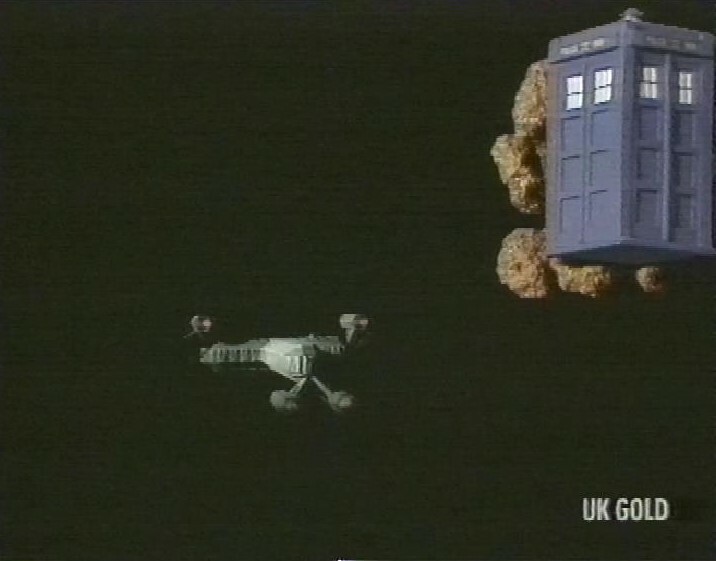 Due to the other ship’s attempts at navigation, both get stuck in some kind of zero space, the boundary between E-Space, where Adric comes from and normal N-Space. So there’s lots of bright white environments, which still look like they’ve been CSO’d. Surely the one thing the BBC set department can manage is a totally white set? They are trying for something visually interesting, though, which should be applauded. 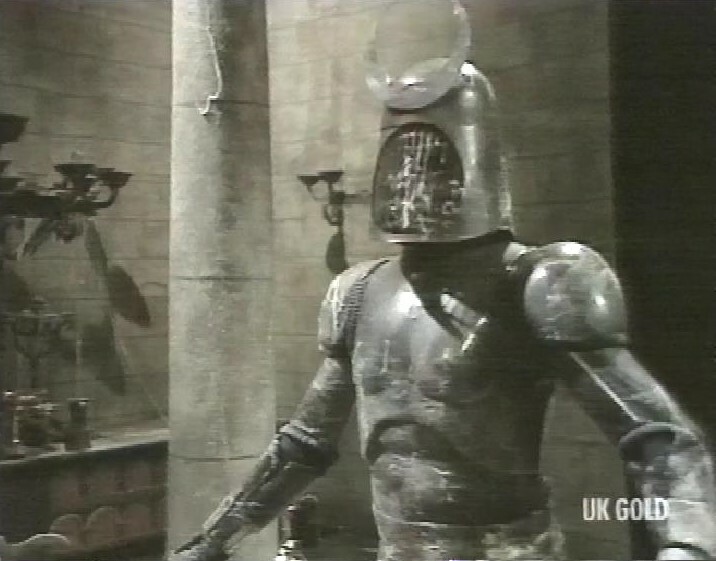 Inside the old door, a very dusty looking vaguely medieval set, with some suits of armour that want to kill the Doctor. 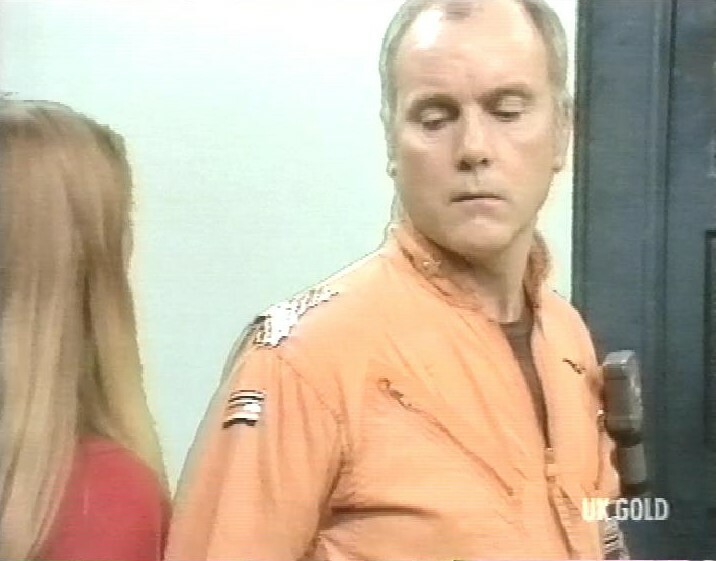 One of the ship’s crew is played by Kenneth Cope, off of Randall and Hopkirk (Deceased). Nice model of the crew’s ship. It’s all a bit timey-wimey, as the Doctor walks through a mirror and travels back in time. He meets the Tharils – Biroc’s race, who travel the time winds. In the past they were masters of their universe. But they also enslaved weaker races, making their own enslavement by the humans in the present somewhat ironic. 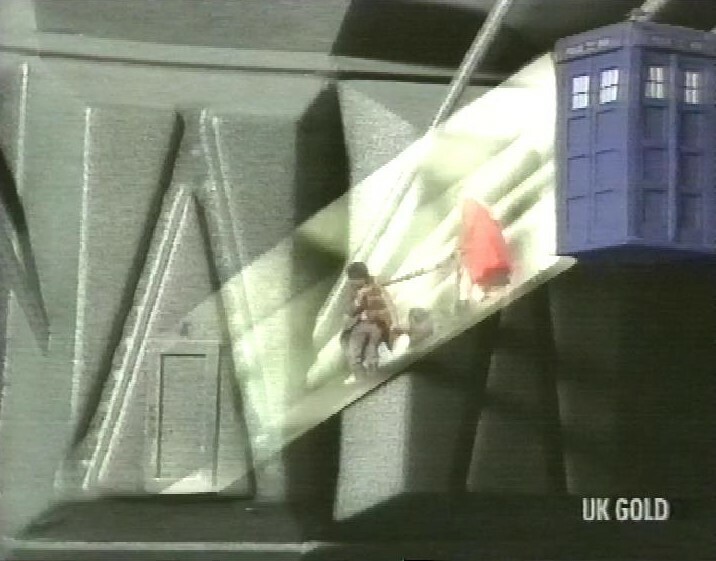 In the end, The Doctor and Adric get away in the Tardis, and Romana and K9 stay behind in E-Space to help Biroc free his race from enslavement. 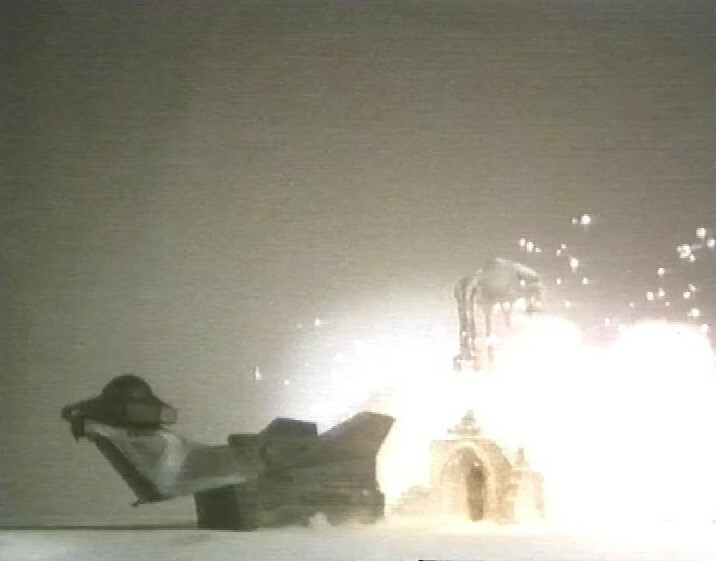 This was Romana’s final episode. In the end, I think this story suffers from the same problem of a lot of this season – excessive technobabble and taking itself a bit too seriously. 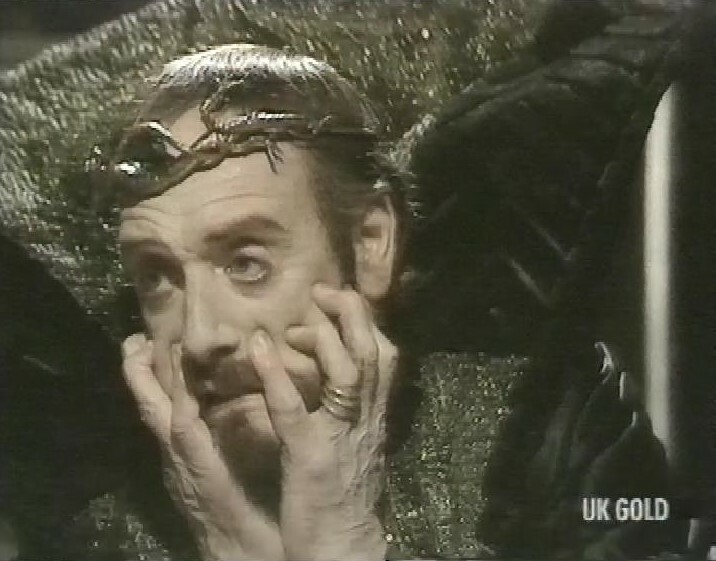 Perhaps that’s a reaction to the fan criticism (at the time) of the previous season (the one script-edited by Douglas Adams) that it was too silly. 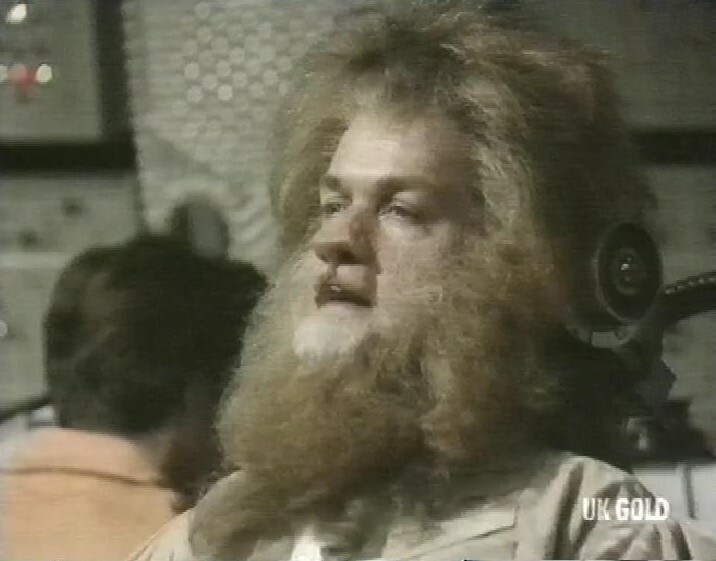 And I did remember, at the time, rather liking the last few stories of this season, leading to Tom Baker’s regeneration, but revisiting those years later showed me all the same flaws. After this story, there’s a Popeye cartoon, Mission Improbable. 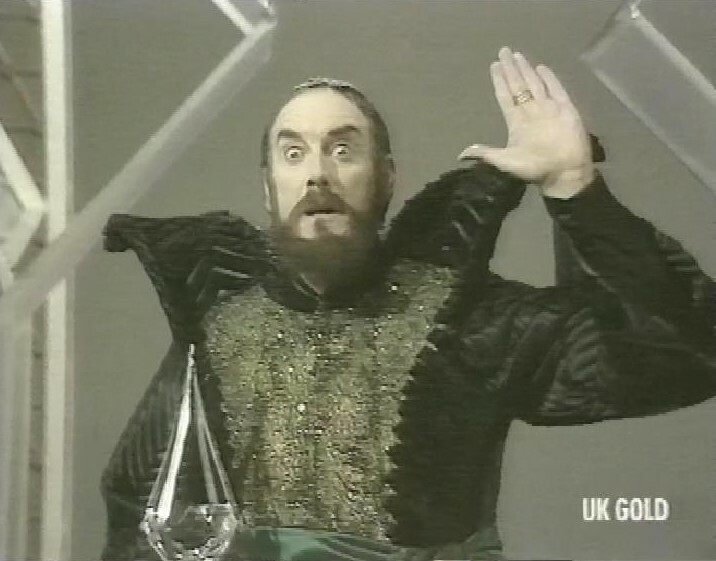 Then, another story in the Doctor Who Weekend. 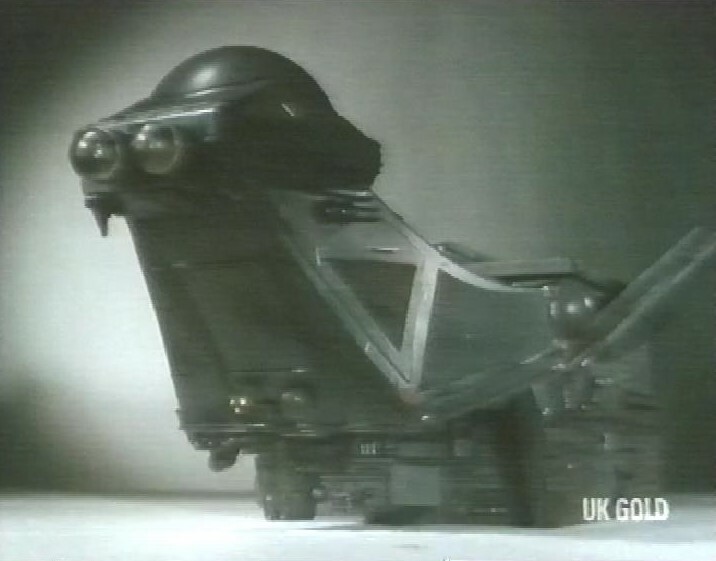 This story is shown as the winner of the Favourite Companion – between Leela, K9, Sarah Jane and Romana. 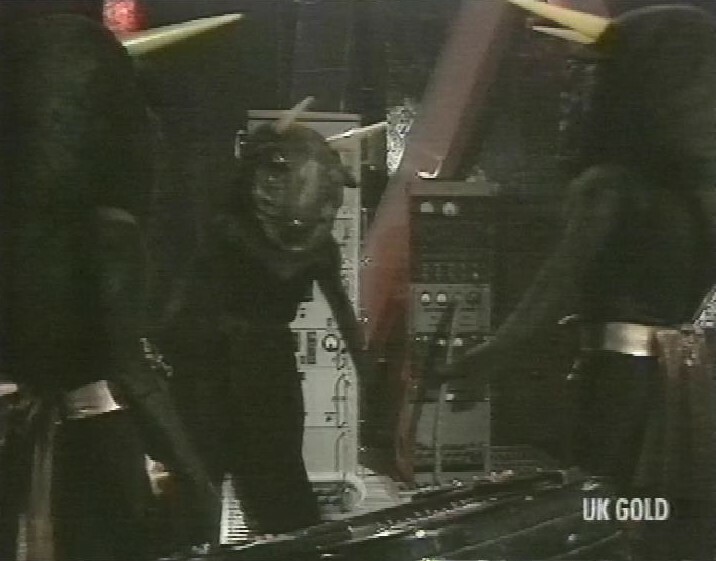 The winner, unaccountably, was K9, and the story they chose to show, unaccountably, is The Horns of Nimon. What was I saying about Season 17 and fan hate for it? The Horns of Nimon was (and is) regarded as one of the worst stories. 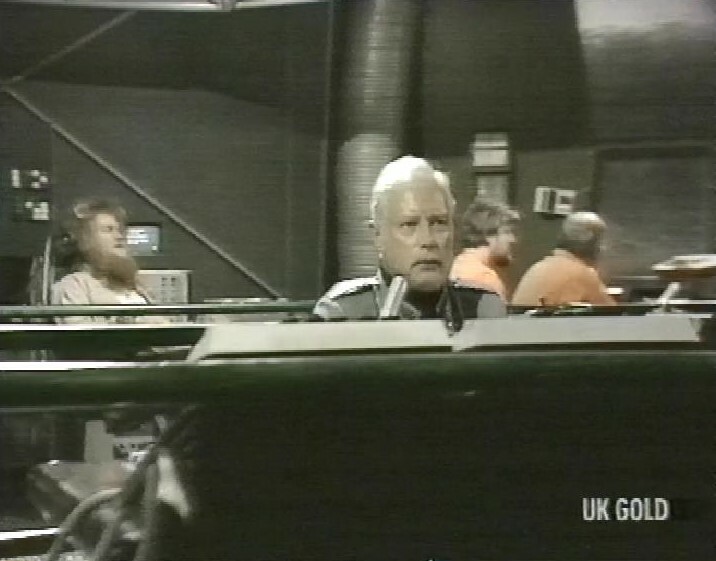 We start on another spaceship piloted by grumpy old men. They have a cargo of young people in yellow jumpsuits. 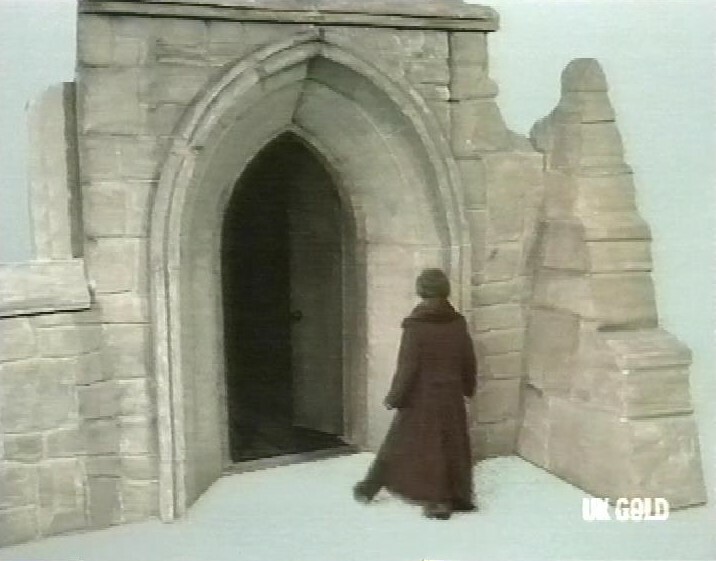 Romana appears to be dressed for a fox hunt. On the planet Skonnos, Soldeed (Graham Crowden) has been talking to the Nimon, who brings news of a great journey, and Skonnos rising from its ashes. Never trust men who deal in prophecies. 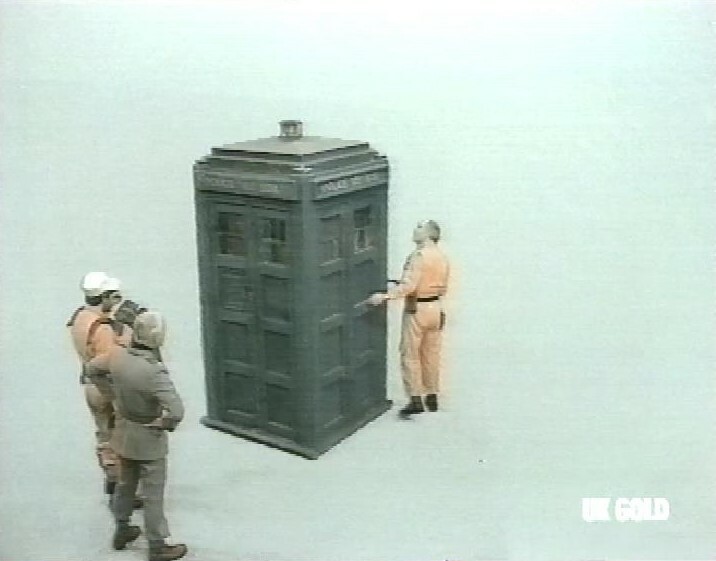 There’s a nice scene where the Tardis gets stuck to the outside of the old ship, and the Doctor has to extrude the Tardis force field to the ship’s airlock. The Doctor meets the cargo, including Seth and Teka. Teka is played by a very young Janet Ellis, a few years before Blue Peter and Jigsaw. 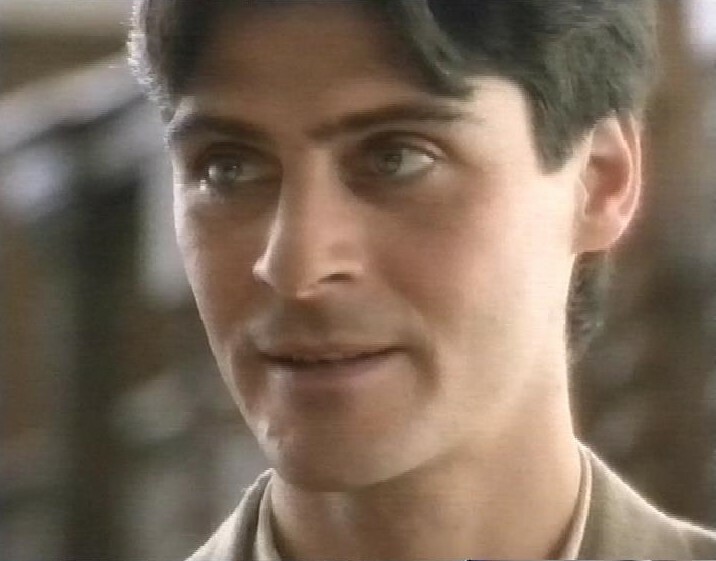 The actor playing Seth looks amazingly familiar, but his name, Simon Gipps-Kent, isn’t at all familiar. I see he was in The Tomorrow People which might be why. He died very young, according to iMDb. The Tardis seems to be being attacked by some Ikea Swedish Meatballs. We meet the Nimon, who’s offering Soldeed technology, in exchange for the sacrifices of the yellow jumpsuit people. Now there’s three of them. 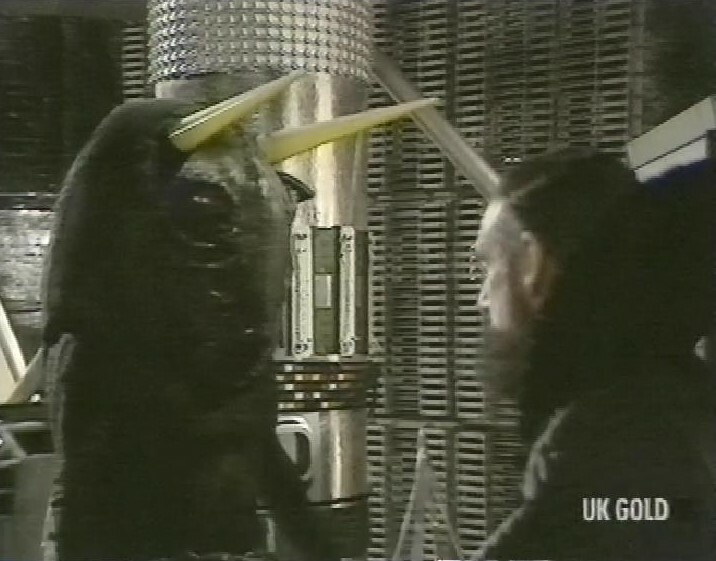 The Doctor and Romana (with help from Seth) help defeat the Nimon, to Soldeed’s dismay. “My dreams of conquest!” Crowden’s rather hammy performance here is part of why people didn’t like this story. After this, recording continues briefly with the start of Episode 10 of The War Games, Patrick Troughton’s regeneration episode. The tape ends shortly into this episode.